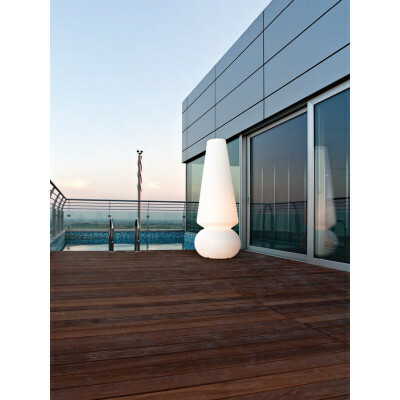 Outdoor Marge floor lamp. 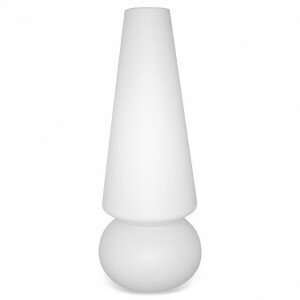 This floor lamp provides 4 E27 bulbs, compatible with halogen, compact fluorescent or LED bulbs. It's possible associating anti theft or fixing kits. Lamp colour: Natural. Ideal for shops and businesses. 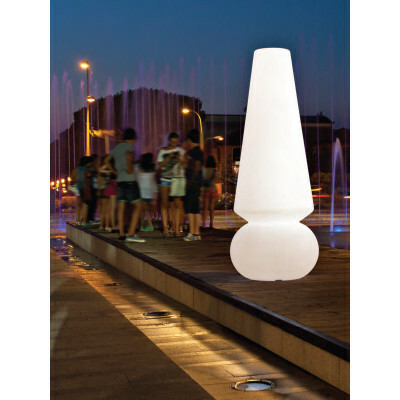 Floor lamp made of polyethylene for Outdoor in RGB light. 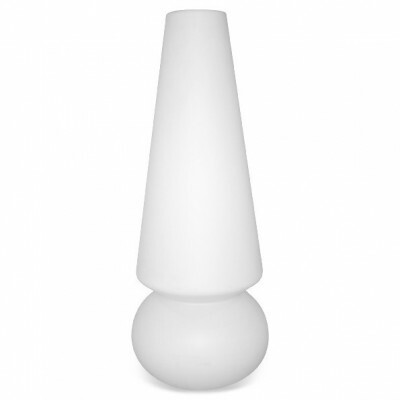 Ideal for the garden lighting. Baby Marge represents innovation in the field of lighting engineering. It is completely watertight, and can be placed in indoor or outdoor environments. 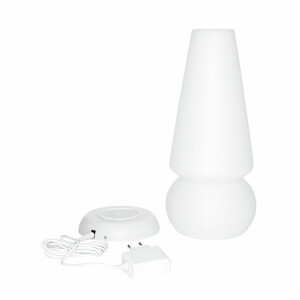 This LED lamp thanks to the built-in battery, has an inducting charging base. There are no wires, so it is also suitable for kids. It has a 12-hour autonomy, where it can be moved anywhere. RGB remote control included.